I am super in love with this picture of my darling niece Carlie right now. 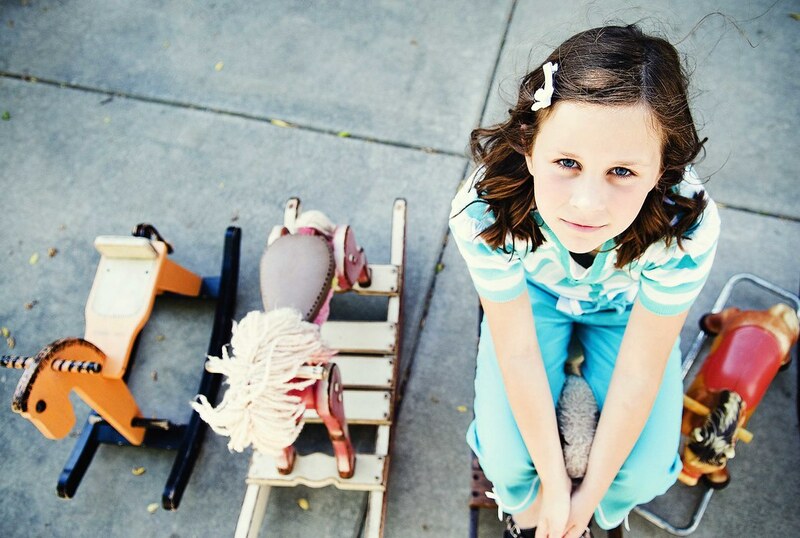 Something about those little rocking horses, her hair blowing in the wind, the leaves on the sidewalk, and her expression just all add up for me and make me smile. I love when things actually work out the way you had envisioned them in your mind. It doesn't always happen, but when it does it is so happy. I am just wrapping up this photo shoot in the next couple days and can hardly wait to post more pictures of this little lady and her family. I am such a lucky aunt. Good work, sis! Can't wait to see the rest! This IS a pretty cool picture. I love this photograph it is beautiful. you are so talented.